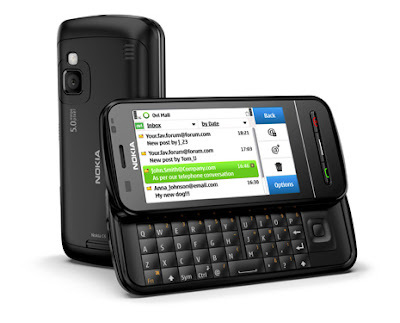 Nokia C6, which is a touchscreen device featuring a full QWERTY keyboard. C6 happens to be a full fledged Symbian S60 based smartphone. It has a large 3.2-inch touch screen display as well as a slide out QWERTY keyboard. Displays social networking feeds right on the home screen. It also comes with a full suite of email and social networking capabilities. As for other features, the C6 boasts of a 5 megapixel camera complete with autofocus and flash. It also come preloaded with Ovi Maps and the Ovi Store applications. C6 estimated price is Rs 13,000.
cn i get d information abt d nokia c6 phn......!!! whn it is gng 2 b launch & released in india....? Wow, this gadget I think is a cool one, but is this Symbian a durable one? I have tried having cellphone which is a Symbian one and that in just a year it’s already not functioning well. Anyway, I guess the gadget is quite sensitive and should be taken cared properly like our personal computers, laptops it should be placed away from risks such as in the computer cabinets .